We all know there are many things we have to stay away from when pregnant, alcohol, different foods, caffeine etc.. But what about the products you put on your face everyday and how can you look after your skin when pregnant? Read on to find out! Do I Have To Change My Skincare Routine When Pregnant? 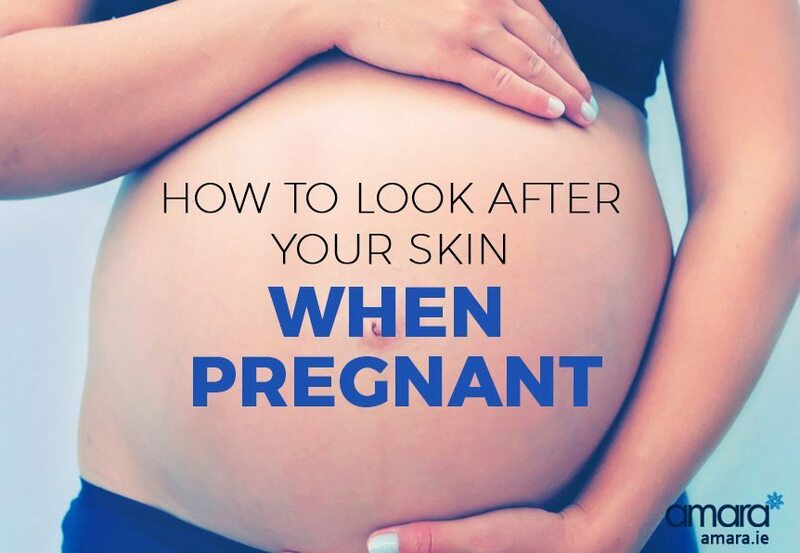 We consistently get questions from pregnant women or women hoping to get pregnant about their skin as they want to know if they have to change the skincare products? Or can they still get skin treatments? Unfortunately pregnancy affects affects your body in many ways and your skin care routine is just one thing that has to change! Retinol is raved as a miracle ingredient for anti ageing and collagen build up. Unfortunately due to its strength it is not suitable for pregnant women, although there is no current evidence of negative effects it is advised by doctors to be avoided! It can be listed as a Retinoid, Retinol or Retin-A on some products. Hydroquinone is most common in skin lightening treatments and occasionally some stronger acne treatments. Hydroquinone is absorbed deep into the skin making it unsuitable for pregnant or breastfeeding women. 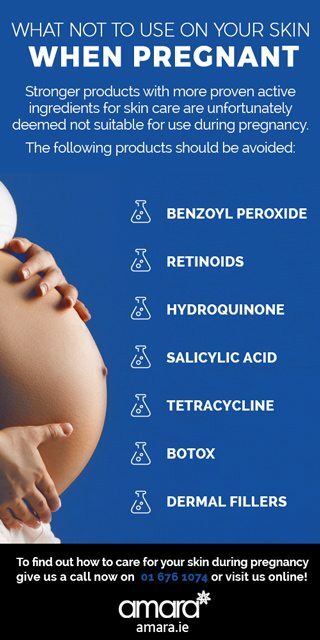 Salicylic Acid is the go to for anyone who has ever suffered with acne – unfortunately it is another no go for pregnancy! The oral form of Salicylic Acid is said to cause birth defects. Though the topical form that we tend to use is unlikely to cause problems it is still best to be safe and stay away particularly from products with a higher strength than those sold in chemists. Benzoyl Peroxide is another common ingredient used against acne. Although there are conflicting thoughts about whether this product is safe or not for use it is best to talk to your doctor or OB GYN before using it. Tetracycline is an antibiotic commonly used to kill bacteria to fight Acne. Like most drugs it is not advised during pregnancy. If you are unsure about any of products then consult your doctor before you use them. Many women suffer from acne during pregnancy but it is best to use more subtle, organic products with no active ingredients. Also consult your doctor about what products to use on your body if you are concerned about stretch marks. If you are currently using the ZO Skin Health range please give us a call on +353 1 676 1074 or contact us online to see what products are still suitable to use! Trying to find out what ZO health products I can use for acne during pregnancy, please could you help? HI Chloe, Unfortunately, no products with active ingredients such as Salicylic are suitable for use during pregnancy. Glad to see the blog, thanks for sharing!